Dormant subscribers are among the biggest challenges an email marketer must face. In the modern digital world, email subscribers are a significant part of your success. These are people who are interested in your newsletters, excited by seasonal deals, and more likely to come back as repeat buyers time and time again. But what happens when one (or more) of your subscribers stop opening emails or clicking on links? It’s incredibly difficult to understand exactly why a subscriber has chosen to stop opening your emails. Perhaps they are bored with what they may view as repetitive offers, assuming they already know what’s inside the message. Or their email service started sorting your messages into the spam folder. Or they have just been super-busy, so have been skipping lots of emails, including yours. Fortunately, there are a number of ways to effectively re-engage your dormant subscribers or determine if they’re out for good. The first and easiest step to re-engage subscribers is simply to change the way you write subject lines. Over time, subscribers may begin to skim over your emails, noting that they have seen that subject line previously and assume they already know what’s inside. To break that pattern, step out of your rigid subject structure and try something new. If you regularly focus your subject lines on discount percent (ex: “September 20% discount opportunities!”), try focusing on seasonal specials (ex: Our famous holiday desserts are on the menu!”) or even speaking to the subscribers directly (“Your favorite ice cream is on sale this week at LocalStore!”). The key is to significantly change the way you address your subscribers. Surprise them, or better yet, offer them something new. Inspire them to take a second look at your content. Although it often goes unnoticed, the “from” address is an important aspect of subscriber response. The ‘from’ line of an email is how we judge who is sending us a message. Is it a robot or a person? A stranger or someone we already know? Especially on mobile, the “from” address is big and bold – and when scrolling through dozens of emails, it’s easy to filter through content based on the sender. By changing “who” your email appears to be from, you can inspire subscribers to subtly or even completely re-think how they look at your emails. Additionally, certain “from” fields can trigger automatic spam filtration – which is detrimental to open rates. 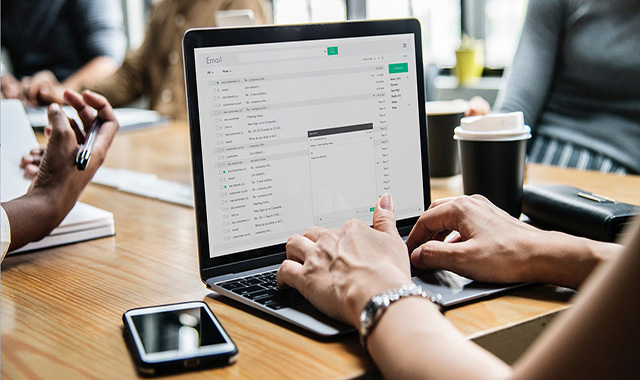 If a subscriber has stopped reading your emails because they always land in the spam bin, a new source email and ‘from’ address can get you back in the main inbox. Incentivizing the click is all about offering something new. Make a big splash with a significant or personal offer. Or offer content that isn’t sale or discount focused, but that simply helps lift your brand or makes a connection with or provides value to your subscribers. Make sure it is out-of-sync with your normal marketing schedule and offers something your subscribers aren’t expecting to see. This one-time out-of-the-ordinary communication and more surprises like it in the future may be enough to re-engage customers who just haven’t felt like engaging lately. Take a closer look at the data available about your dormant subscribers. Before investing too much in re-engagement, it’s important to know what you’re working with. For example, someone may have changed jobs and no longer uses that particular email address at all. Or maybe they moved away from your physical store location and, therefore, have stopped looking for local deals. A little bit of research and certain industry tools can help you identify some clear reasons why someone no longer reads your content. Some of the reasons may indicate a subscriber who is recoverable, while others may lead you to let them go permanently. This last tip brings us to our final point: if a subscriber is genuinely no longer interested or if all engagement strategies fail, cut them loose. You don’t need inactive names cluttering your mailing lists and reducing your email “engagement scores”, when there are real, engaged customers to work with. You can significantly improve your overall results by knowing when it’s time to scratch a name off your list. Not only is this good for your efficiency, but it will increase open rate percentage and decreases your chance of being flagged as a spam IP. If you have a mailing list that is starting to wane, don’t let the problem continue as-is. Do everything you can to re-engage interest with your subscribers by following these tips and attempting something new. If you need assistance, feel free to contact us today.